Description - Our Dilour Carpet tiles are a soft and simple solution to floor any room in your home. These carpet tile squares come in several colors and are constructed of 100% post-consumer solution-dyed polyester velour fiber, which makes these tiles a very ‘Green’ product. These modular carpet tiles are also mold and mildew resistant and have been formulated to resist staining. These floor tiles are also very easy to install due to the fact that each tile features a self-adhering back. These tiles are very soft to the touch and are perfect for children’s play rooms, nurseries, and baby rooms. So if you are looking for a cheap and inexpensive way to floor a room, then our Dilour carpet tile is for you. Material - 100% Post-consumer solution dyed polyester fiber with a Peel-and-Stick backing. 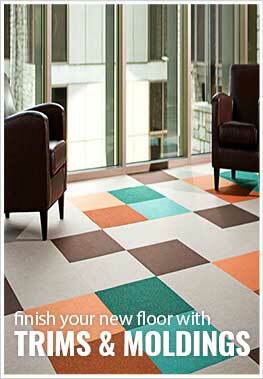 Recommended Uses - Dilour Carpet Tile squares are the perfect cheap indoor/outdoor tile. These tiles are recommended for residential use and have been used as flooring in living rooms, patios, decks, garages, bedrooms, basements, kitchens, weight rooms, workout rooms,and elderly care rooms. Great for nurseries and bedrooms. Stain, fade, and crush resistant. Are your carpet tiles low VOC? If yes, which ones? All of our carpet tiles are low to no VOC rated. Are the Dilour carpet tiles treated with chemical flame retardants of any kind, or do they incorporate any recycled materials (foam backing, for example) that might previously have been treated with retardants? They are not treated with any flame retardants. Can you install these over a carpet pad to get a better cushion? You can install our Dilour Carpet Tiles over a carpet pad to get better cushion. What kind of padding and how would it have to be anchored to apply tiles over this? Carpet tiles do not require a padding. However, you can use a foam carpet pad for extra cushion if you would like. Typically you would only need some double sided carpet tape to secure the padding. Be sure to follow the manufacturer's installation instructions for the specific pad you choose. can tiles be cut and fitted? Yes, these tiles can be easily cut to fit any space. I would give the product a 3 as it was just average. The price is good and cheap and it was easy to install with the peel and stick backing. But it is a thin carpet tile without much cushion to it so hence the 3 rating. It The shopping experience I would give a 5 though. The people are very helpful on the phone and I liked that they have installation videos readily available. We were looking for a product to put down on the floor of my grandsons' tree house, and found this product online. We were very impressed with the customer service people on the phone, and the product arrived really quickly. The carpet tiles went down super easily and make the space look great. The kids love it and so far, so do I. Excellent, I have done all 3 of my bedrooms in these carpet squares. Excellent product. Thin, soft, durable ... does the job! Yes, they are thin, the box they arrive in is lightweight ... BUT, they are easy to install and move to get just right. They vaccum without lifting or pilling or fraying. I got the black ones, and set them up like carpets, rather than covering an entire room and they are great! I got them to cover an ugly tile, and give my dog some traction ... cannot say enough about how well they work. Inexpensive, permanent as long as I need them, and then removable when my lease is up! Buy these with confidence - do the measurements, buy the right amount, pick your color wisely, and enjoy!